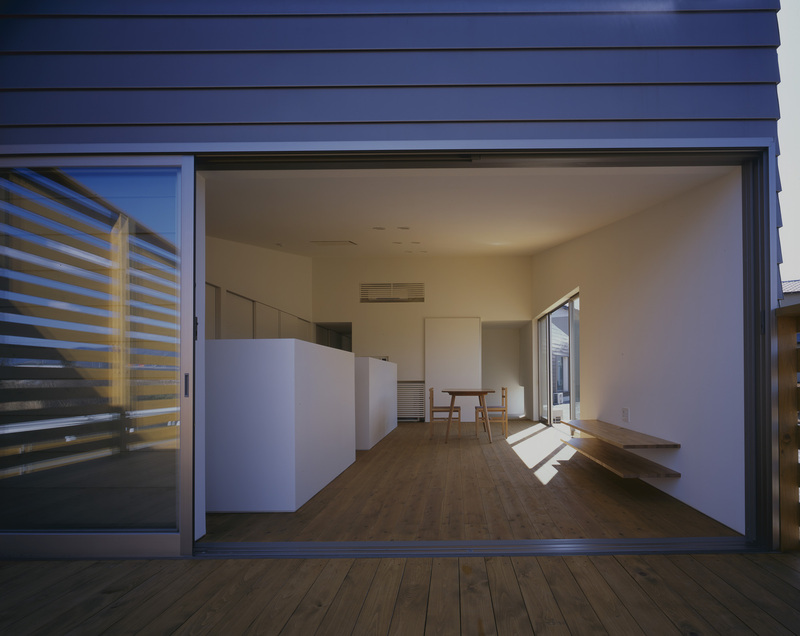 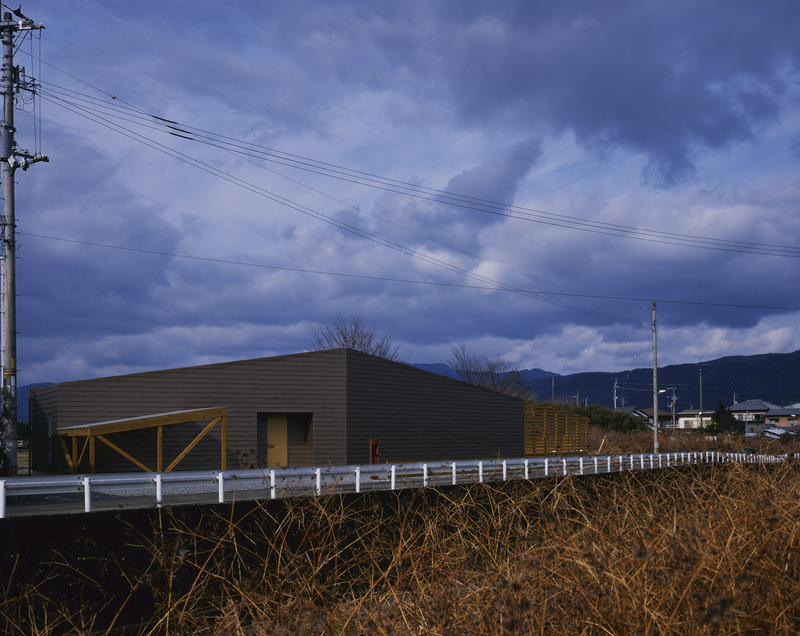 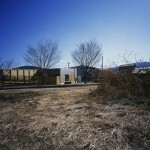 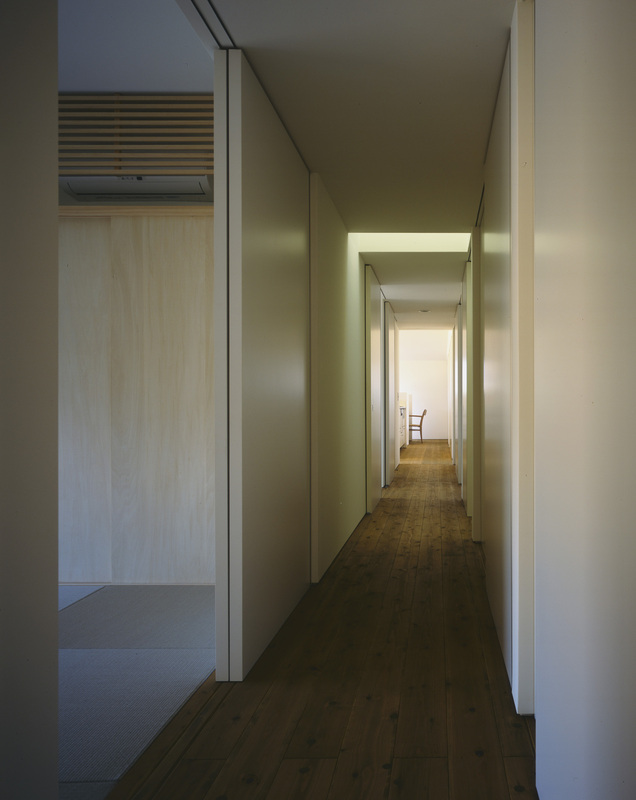 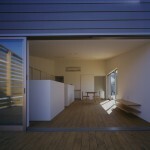 ‘House in Yamakawa’ sits on a road that gets a surprising amount of traffic given how narrow it is. 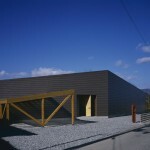 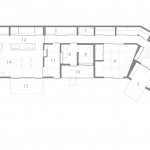 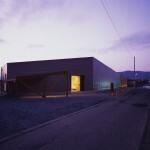 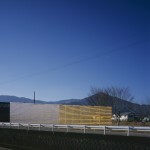 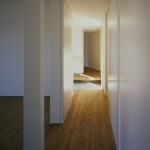 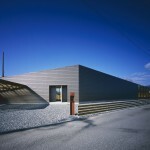 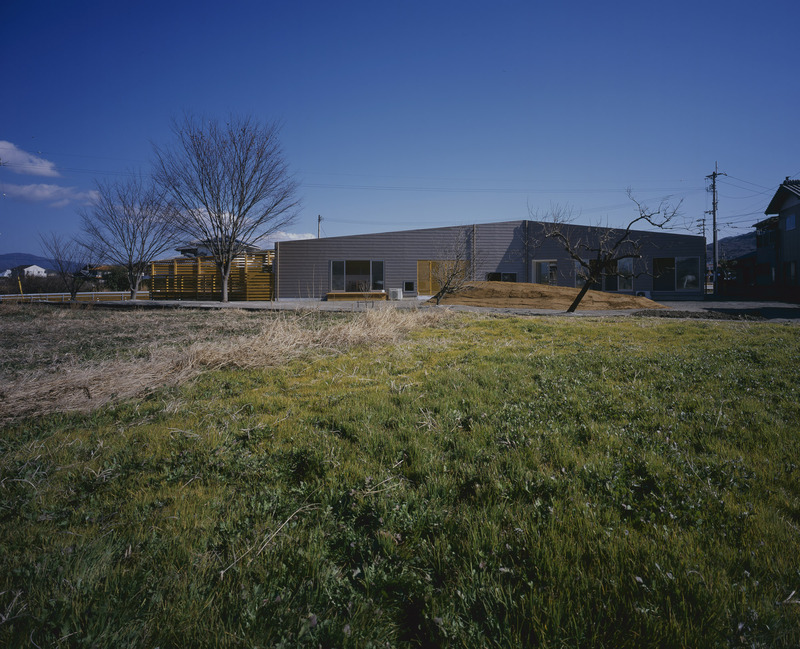 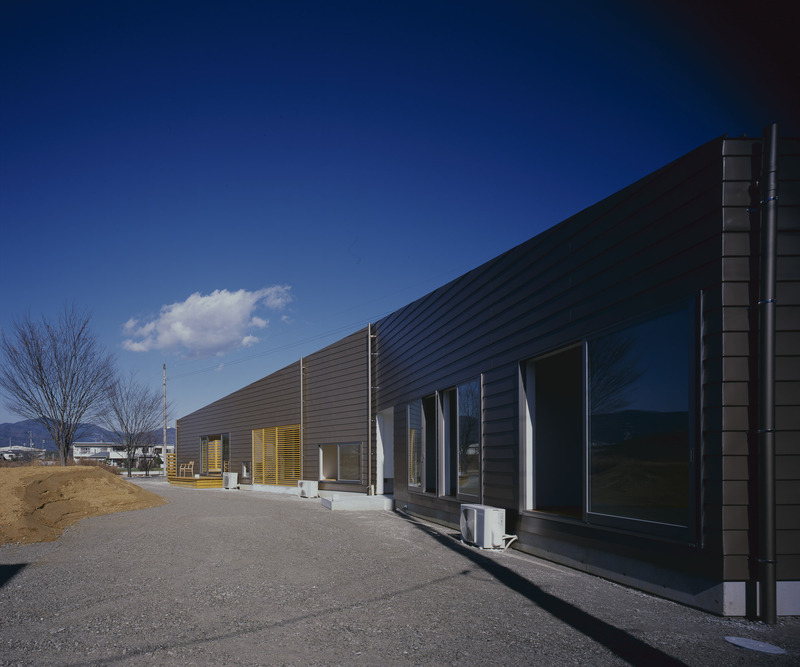 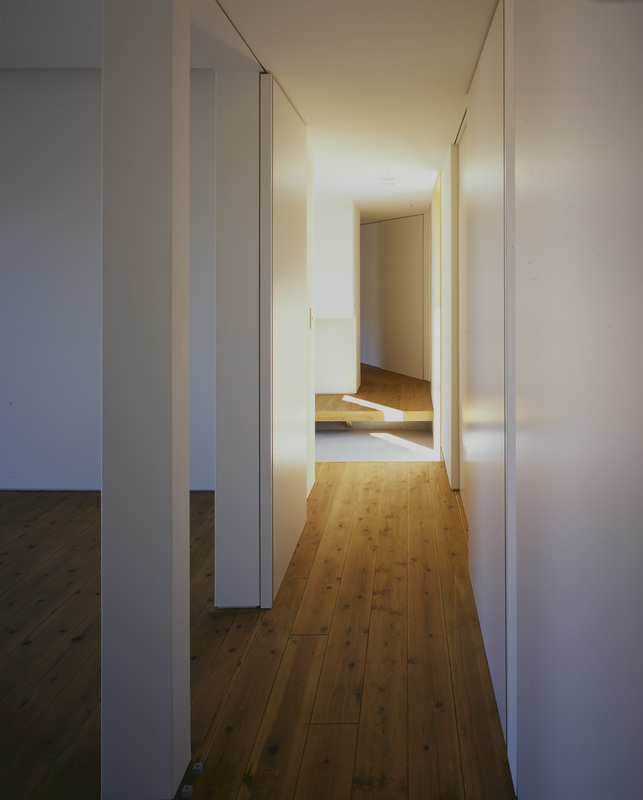 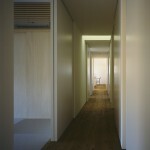 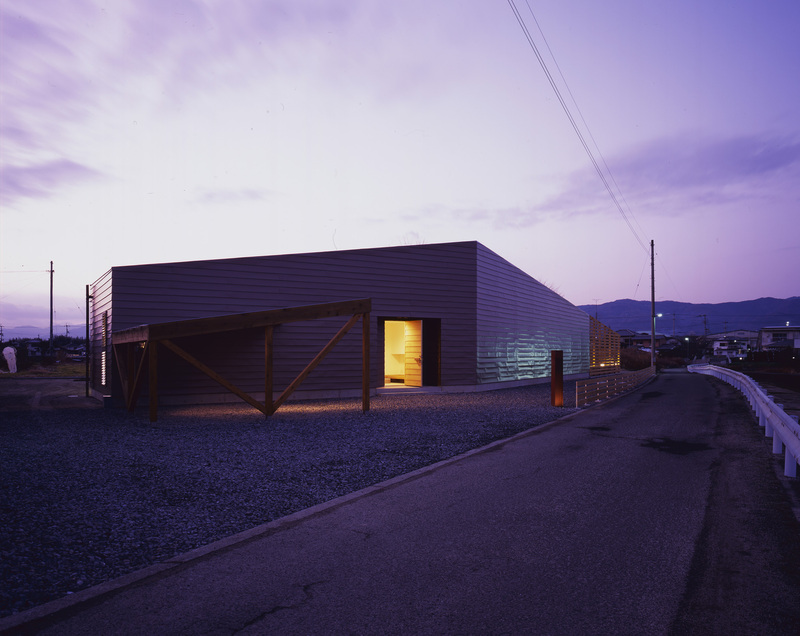 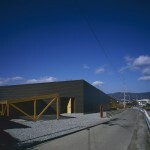 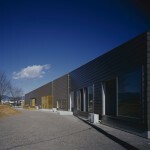 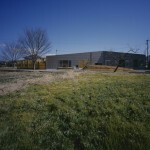 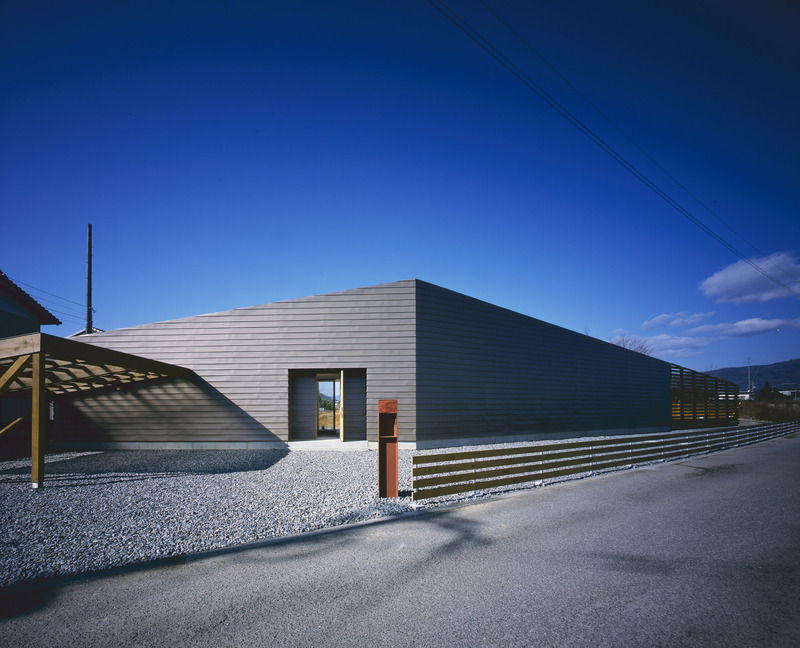 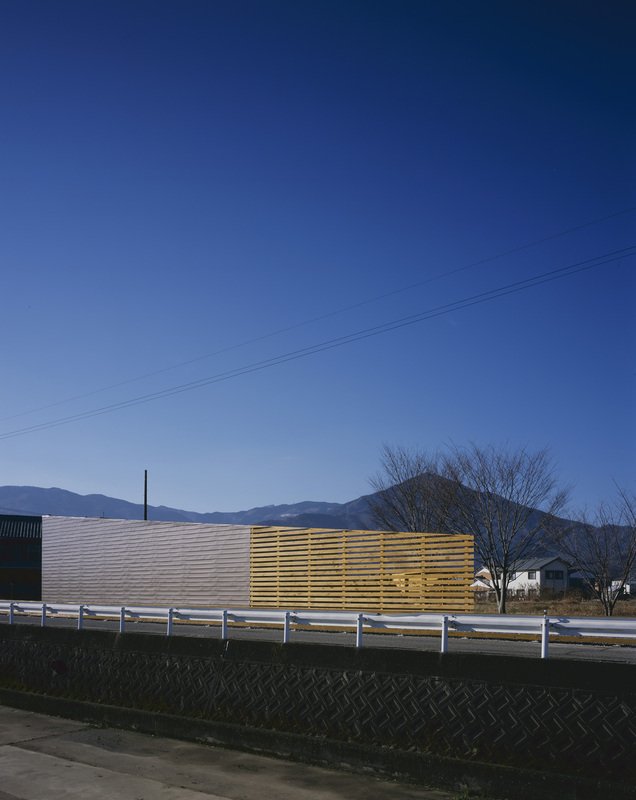 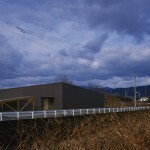 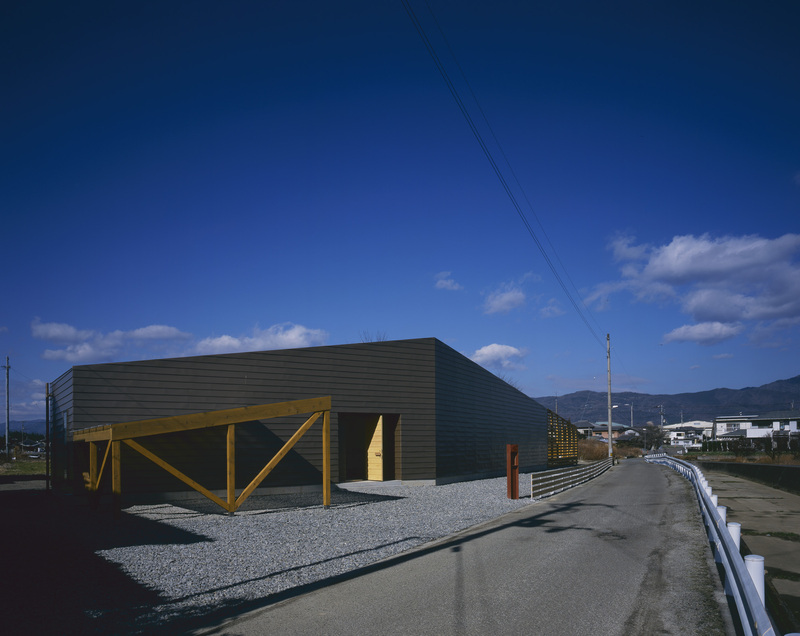 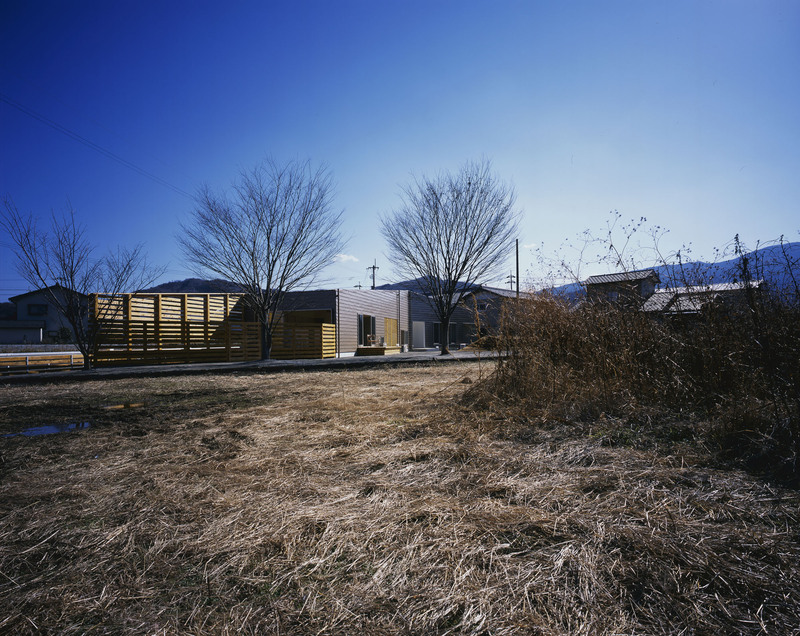 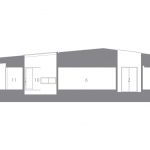 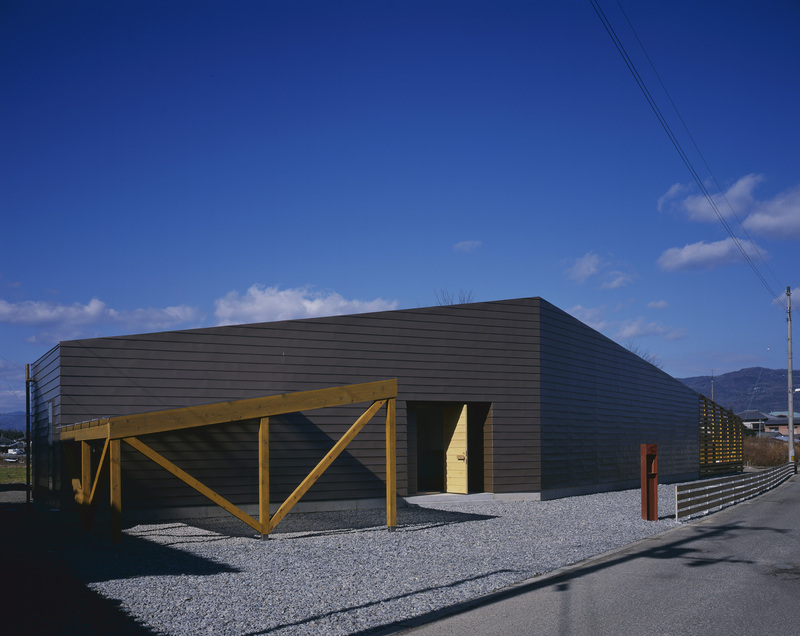 To minimize the noise from cars and to ensure privacy, the architects concentrated storage spaces along the side of the house facing the road and added a hallway as a further buffer shielding the main rooms. 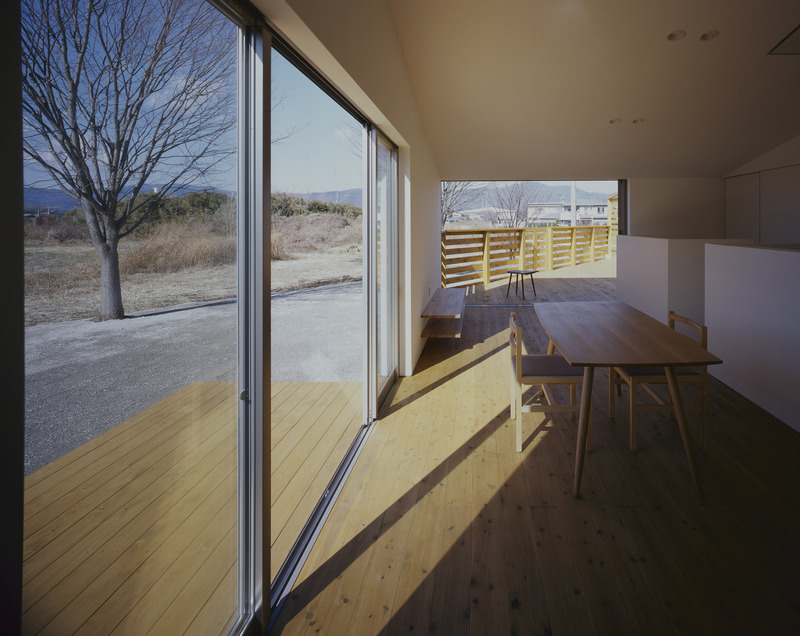 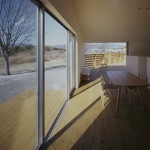 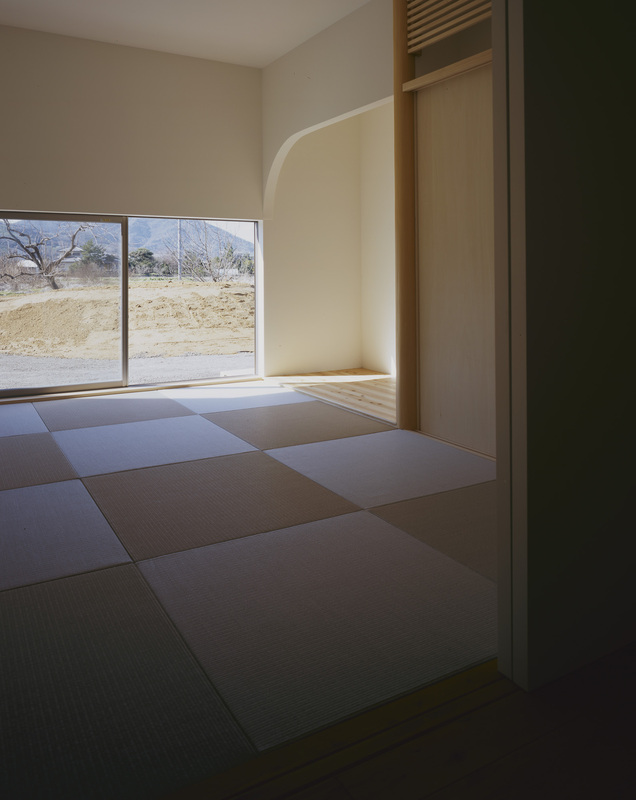 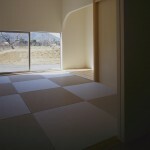 In contrast, large windows open from each room onto the spacious back garden, giving many different views of the cherry blossom trees, expansive paddy landscape, and mountain range beyond. 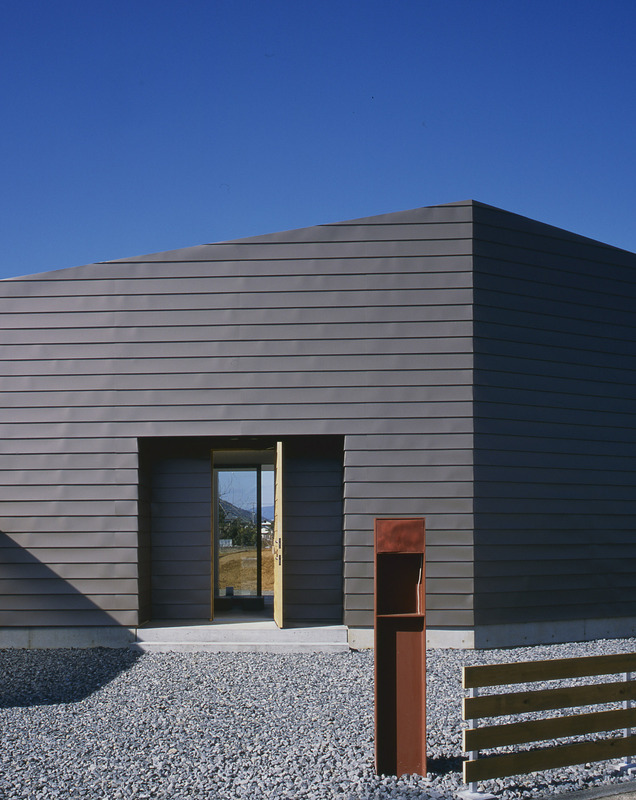 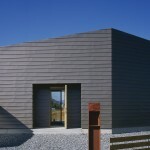 Bent in a V-shape to follow the curve of the road, the house echoes the form of the distant mountains.